This 6-Piece Wicker Patio Set often sells for $599 or more, but you can get it for $499.99 with free delivery at Hayneedle. That's the best price we can find anywhere by about $20. Plus, you can get $25 in Home Rewards when you log into your free Hayneedle account. Sales tax is charged in most states. 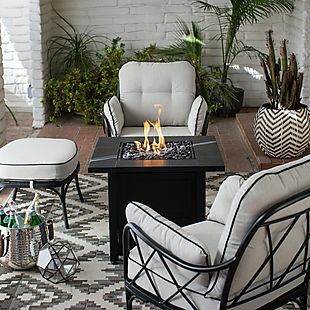 This Belham Living Fire Pit Patio Set lists at $849.98, but you can get it for $557.09 during this sale at Hayneedle. You can also get $27.86 in Home Rewards when you log into your free account. Shipping is free. That matches the best price we've ever seen for this set! Sales tax is charged in most states. 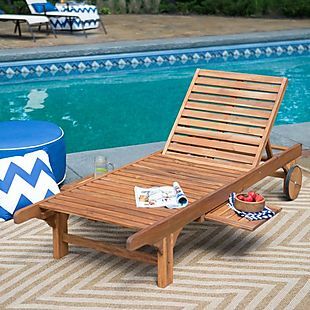 This Coral Coast Bellora Acacia Wood Chaise Lounger drops from $221.16 to $139.60 at Hayneedle.com. Plus shipping is free. Similar ones are at least $168. It's made of acacia hardwood and has a 400-pound weight capacity. Sales tax is charged in most states. 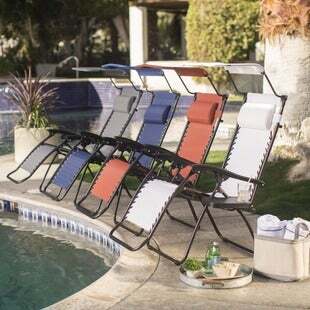 This highly-rated Coral Coast Zero Gravity Chair with Shade and Drink Tray drops from $129.99 to $65 to $49.99 at Hayneedle.com. Shipping is free. It includes an adjustable sun shade and a drink tray with a cup holder. Choose from four colors. Sales tax is charged in most states. 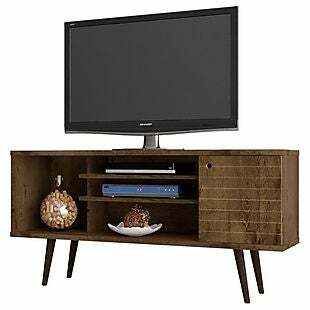 This Manhattan Comfort TV Stand usually sells for more than $115, but you can get it for $106.99 at Hayneedle. Shipping is free. Similar stands sell for more than $200, and this is the best price we can find anywhere by about $8 for this model. It's large enough to support a 65" television. Note that some colors cost extra. Sales tax is charged in most states. 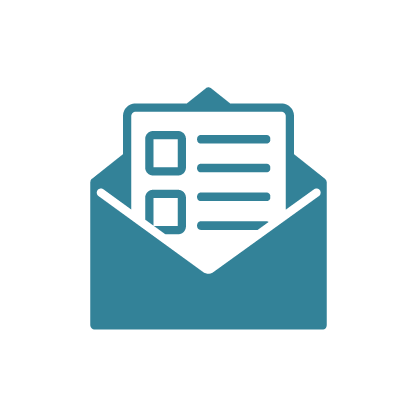 Hayneedle charges a low flat-rate fee of $4.99 for standard shipping, but most items over $49 ship for free. Curbside freight shipping, which is used to ship large items like dressers and dining room tables, is also free. 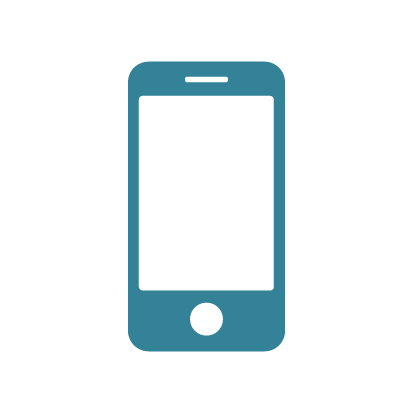 All items will be unloaded from the truck by skilled professionals, at no additional cost to you!